From Detroit to Lansing, Michigan's awesome restaurants and small shops are dishing up some distinctive takes on ramen. 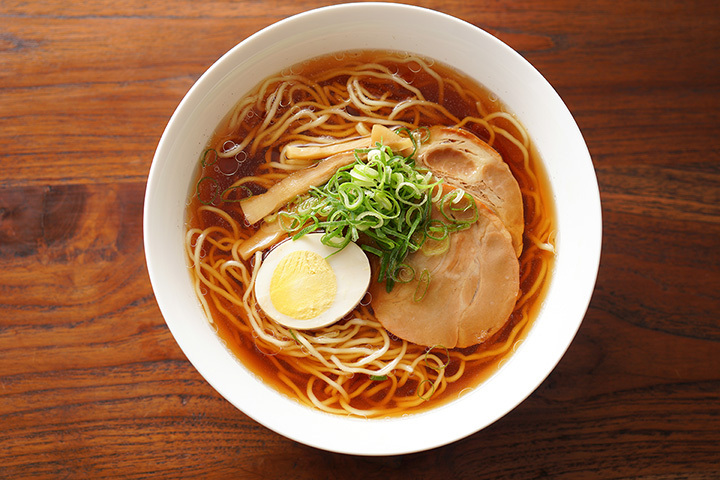 Ramen is typically made with wheat noodles in a meat or fish-based broth, but Michigan's ramen spots take things to a new level. From spicy red crab curry ramen to classic miso, here are the best places for a hearty bowl of ramen in the state. Johnny Noodle King in Detroit is a comparatively new addition to the field, by some reports, but it's made quite a splash. It was the only Michigan restaurant to hit national listings for best ramen, which makes it one of the best in the country, let alone Michigan. With all manner of ramen represented here—like shoyu and miso—but also a range of wild new options from champon to a Southwest bowl featuring pickled tomatillo, Johnny Noodle King's claims to royalty may not be unfounded. Out in Royal Oak, Edo Ramen is ready to prove its own dynastic ambitions. Several traditional breeds of ramen and udon are available, including some with unusual twists like the Hawaiian that offers butter-garlic chili with shrimp and chicken. Edo Specialty ramen, meanwhile, takes things up a notch, including such novel treats as the Nashville, featuring fried chicken and sweet sausage. Those who'd rather not have ramen won't be ignored here either, as poke, Asian bowls, and even stir fry are on hand. There's even a slate of desserts that includes a tempura cheesecake. If you want to check out some of Detroit's other top competitors for the ramen crown, stick around to check out Wasabi. Featuring Korean and Japanese cuisine, the spicy ramen here tends toward Korean style with vegetables, beef, or seafood for topping. Beyond that, several varieties of udon are also on hand, as well as both soba and yakisoba. Amazing ramen at a cocktail bar? You bet! The ramen at the Brass Eye boasts pork or vegan broth, backed up by pickled cucumbers, shiitake mushrooms, and “various seasonal toppings,” among others. Throw in some other food options like egg dishes and bao buns and you've got a great range of choices here. Nagomi Japanese Restaurant in Novi has an impressive range of options, and not just in the ramen department either. Whether you're after shio with the sliced roast pork, niratama with leek and egg, takana with the pickle of the same name, or any of several other options, you'll have pretty much any ramen you could ask for here. With udon and soba on hand too, the range should be a great surprise to any ramen buff. Canton's Matsu Chan Restaurant boasts an extensive range of options in the ramen and related noodle fronts. Whether you've got yakisoba on your mind or cold soba—that's egg in chilled soup with a rice ball and buckwheat noodles with vegetables—you can get it right here. Beyond the noodles, check out the rice dishes, the complete dinners, and the more a-la-carte side items to make your visit as complete as can be. Lansing's Avenue Cafe is something of a unique pick, in that it's not only a bar and live music venue but it also contains two separate restaurants within its purview: Bub'z Burgerz and the one that concerns us, Ruckus Ramen. Ruckus Ramen offers up eight different types of ramen, from the spicy red crab curry to the shoyu ramen to even vegetarian miso ramen. If that's not sufficient for you, check out the rice bowls, the small plate selections, and more to make this one of the best ramen stops you'll find in Lansing.